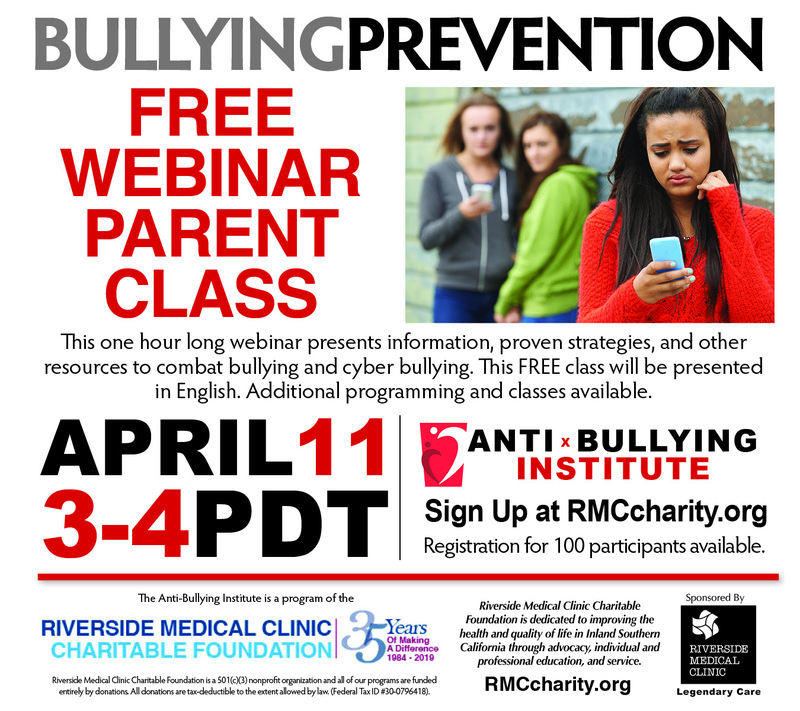 If you are a parent or guardian of a child who is struggling with bullying and desire additional information, proven strategies, and other resources to combat bullying, the Anti-Bullying Institute offers FREE parent class webinars. You will receive valuable information on bullying and learn how to effectively address bullying issues. Topics include an in-depth overview of traditional bullying and cyber bullying; identifying cues that your child is being bullied or is a bully; talking about bullying and maintaining open lines of communication with your child; and keeping kids connected, protected and safe online. Webinar will be presented in English. Please register here or at the link below.